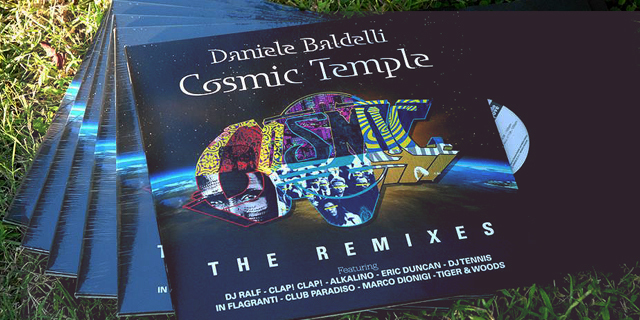 Ralf joins legend Daniele Baldelli (along with dj Tennis, Tiger&Woods and others…) for “Cosmic Temple” remix series. For those of you who don’t know (but you should better know, it’s an amazing story), Daniele Baldelli is a true legend: one of the real pioneers of the art&craft of deejaying. Actually, not that he’s just a legend: still today, at the very present, he’s one of the most daring, original and visionary dj’s around. He just doesn’t give a damn about career, exposures, whatever, that is why you don’t see him that often in the “usual” spots; but those who know, and those who listen, have no doubts in stating him as one of the greatest around.